Build your swimming skills and endurance to get ready to join swim team. Participants will refine their swim strokes, learn drills and more. 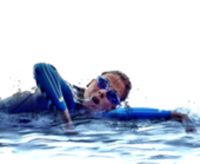 Easily transition to Novice swim practice which is scheduled at the same day and time! Perfect for swim lesson levels 6 and up. Register with the Osborn Aquatic Center Front Desk.